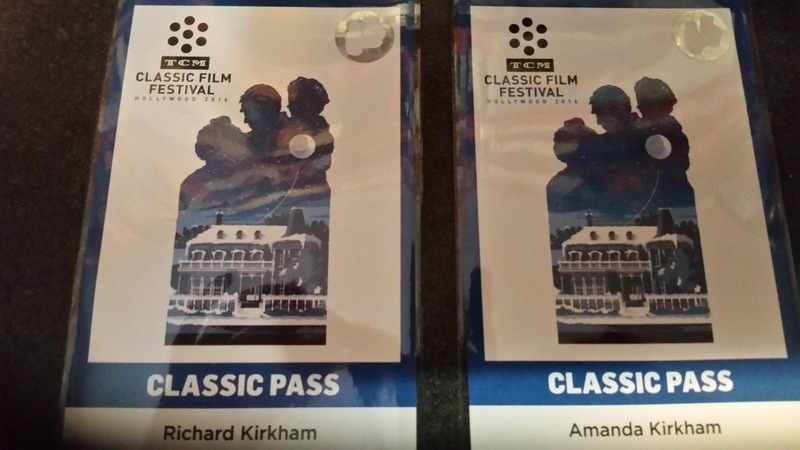 So our passes arrived a week or so ago, and information about the programming has been trickling out ever since. Each time there was a new update I started shivering with …(say it) anticipation. Now the full schedule has been released and of course there are so many events I’d love to see that are in conflict with some other event I want to go to. I may have to forgo “The Way We Were”, “Club TCM’s Dogs in Film”, so I can watch “The Conversation” both the movie and the actual conversation with Francis Ford Coppola. It looks like I can cheat a little and just watch the miserable parts of George Baily’s life before strolling over to catch the screening of the silent version of “Joan of Arc”. That means I will miss “Brian’s Song” and Mr. Billy Dee Williams, Damn It! Not sure yet how to get to the Burt Reynolds Conversation at the Montalban Theater unless we skip out on the end of “Dead Men Don’t Wear Plaid”. Somebody hold the back door open so we can get in late please. Maybe Phillip Marlowe can investigate the crime of scheduling “The Long Goodbye” opposite of “The King and I”. Yul (get it?) find me at the Elliot Gould film, cursing under my breath that I can’t be two places at once. I don’t think I can talk myself into a Mid-night screening of “Gog” even if it is in 3D. “Fat City” or “The Russians are Coming, The Russians are Coming”, probably the Stacy Keach film because I am a 70s guy. 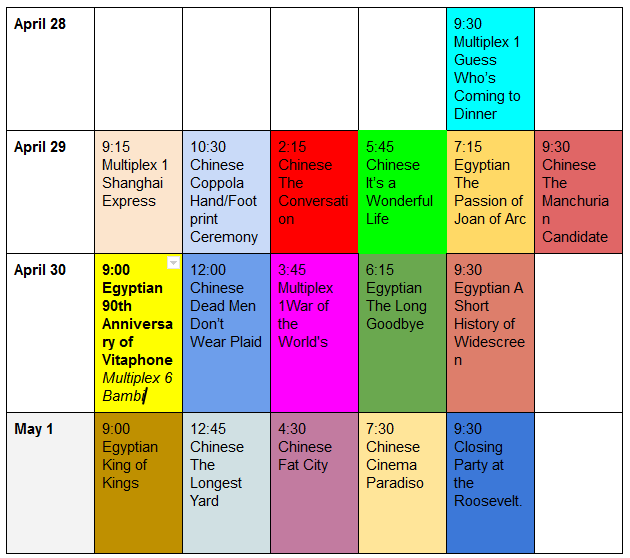 “Cinema Paradiso”, “Network” and “The Band Wagon” all will duke it out for my eyeballs. I’m inclined to take Amanda to the Italian film, just to watch her weep at the ending. Hope to run into many of the friends I have made on line during the Festival, certainly we can connect at the closing party and at least say Hi!. What do you all think. I could be talked into changes, how about a little advise? Yes, the #TCMFF brings its own unique bit of angst in seeing what you’ll miss as you catch another special viewing instead. We have a few in common, Richard. Hope to see you and your daughter there, maybe even sitting right next to you two. Should be another very wonderful experience. Definitely need to connect for The Conversation, oh and the movie too.